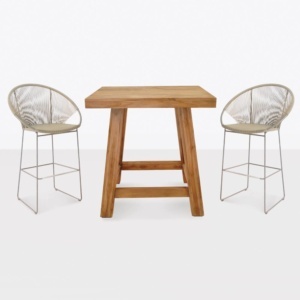 This contemporary pairing is a perfect addition to any outdoor entertainment area. The Bar height combination of the very contemporary Concrete bar table and the classy Toscana bar height armchairs is an instant favorite with the contrasting materials and all-weather performance. The A-Grade teak bar chairs feature a comfortable arm, and the pedestal style concrete bar table offers the right height and ample tabletop room for drinks or dinner. 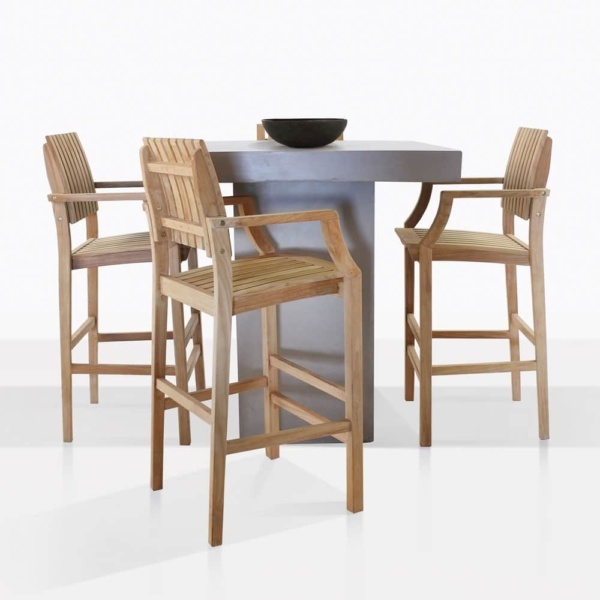 This bar table is made from lightweight concrete and the four bar height chairs are made from 100% A-Grade teak. 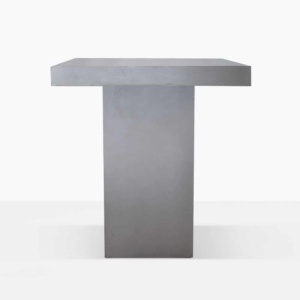 Concrete outdoor furniture at Design Warehouse is a stunning statement for any outdoor space. Concrete is a natural product and as such will have fine lines and cracking. This is similar to concrete used internally in building and restaurant floors, outdoor driveways and wall finishes. This is the nature of natural concrete, and in no way does this affect the durability or integrity of the product. If you do not like the raw, natural appearance of concrete, and how it behaves as a material, then you may consider trying a different outdoor material. 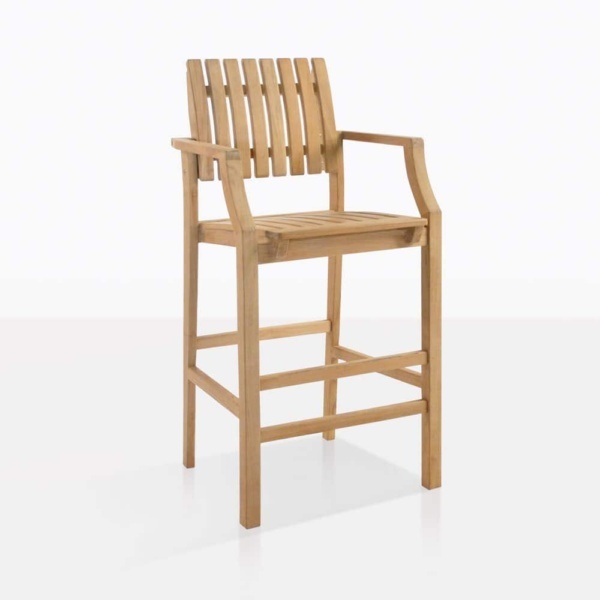 We’ve taken the best aesthetic qualities of concrete and combined it with innovative engineering and materials to create a perfect blend of livable, versatile and stunningly good-looking outdoor furniture. We use a composite blend of resin and concrete to create lighter weight, easier to use concrete furniture. This gives our concrete product offerings unique and beneficial characteristics for your outdoor space. 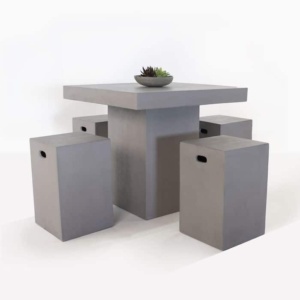 Design Warehouse offers stunning concrete furniture for outdoor or indoor use. We utilize a weight saving fiberglass and concrete composite mix, which uses a resin matrix to ensure lightweight gorgeous concrete pieces. The natural beauty and organic, raw feel of concrete gives an impression like nothing else. For specific care instructions for Outdoor Concrete from Design Warehouse, click through the following link.